Can you really have that much to say!? 63,206 characters to be more exact!! Can you seriously have that much to say!? At least one person tried but even after writing ALL THIS, they were 3,206 characters short! 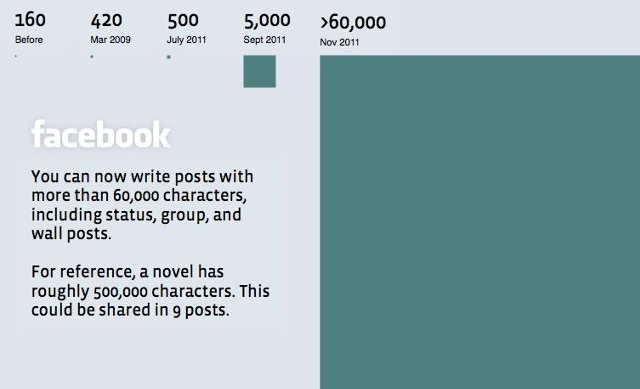 Just to give you an idea, a novel has 500,000 characters. So one novel could now fit in 9 status updates! Crazy! Care for a 35,000$ cup of tea? !